It was my 19th on the 19th & above is me opening my presents – wearing my new AA Disco pants yayayay – so expect a post soon based on those! About 16 months ago I found out the Olympic Torch would be coming to my town on my birthday and knew that was what I wanted to do on my 19th, go to see it, as its a once in a lifetime experience! Although this may not be to everyones taste to celebrate their birthday hahah! There was a concert celebrating the torch so I went there with my friends & family, although I didn’t realise there were actually two concerts one with Rizzle Kicks (wahhhh I love them) & another with Alvin Stardust (o___O) – which is where I went haha! They still showed the Rizzle Kicks show on the screens so it was all good! Next Post Dressing for December…in July! the photos are amazing! love the sunset one.. and you look awsome! 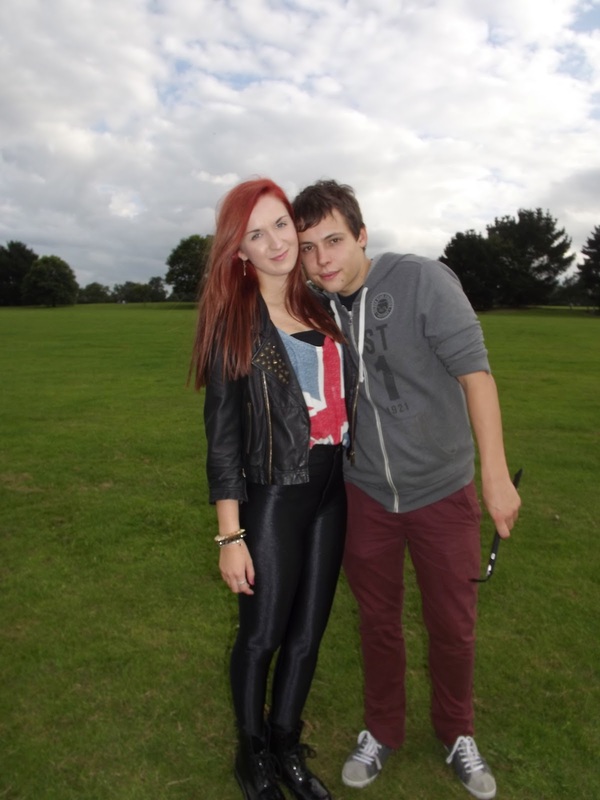 Great photos, I love your outfit too, I wish I could pull off disco pants!